When you post bail for a person you're not only doing them a gigantic favor but you are also taking on quite a bit of responsibility. In order to get your loved one out on bail with a bail bond you need to sign a legal contract between the court system, the bail bond agency and yourself. Following the release of the defendant it is your responsibility to ensure the following takes place, should they be applicable to your particular situation. The biggest responsibility you will have as the indemnitor is to ensure the defendant makes it to all of their scheduled court dates. There is a common misconception that the indemnitor is just responsible for ensuring the defendant appears at their first court date, but really it is their duty to get them to all court dates the defendant may have. The bond will remain in effect until the case brings a verdict or is discharged. When using a bail agency an initial fee will be owed by the indemnitor in order to start the bail process. This is generally a percentage based on the full bail amount. As the indemnitor you must accept this fee and make necessary arrangements to ensure it is paid. Based on the defendant's actions, which may include missing court, the indemnitor may charged to additional fees.This is because the bail agency will need to hire a personal recovery business to find the missing defendant and get them back in custody. The indemnitor's responsibilities include paying the fees for these services. If the defendant is unable to be located after missing a court date the indemnitor will likely need to pay the total bail amount, thus releasing the bail agency of any financial obligations. If any collateral was collected by the agency to post bail it may now be used to pay the full bail cost and will not be returned to the owner. It is important you understand your obligations before posting bail for a loved one. It's also very important that you only post bail for people that you know are trustworthy. If you have any questions about posting bail in San Rafael, CA or the surrounding communities be sure to reach out to 5 Star Bail Bonds. 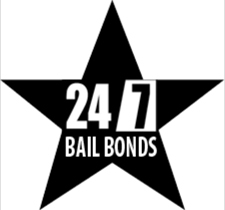 We offer expert bail bond services 24/7 every day of the year. Give us a call at (415) 479-4800 to begin the San Rafael bail bond process.